Last year we started the tradition (doing it the second time makes it a tradition, right?) of hiding the Baby Jesus from the nativity sets I have around the house and having the children find them, bringing them back to the Nativity set. 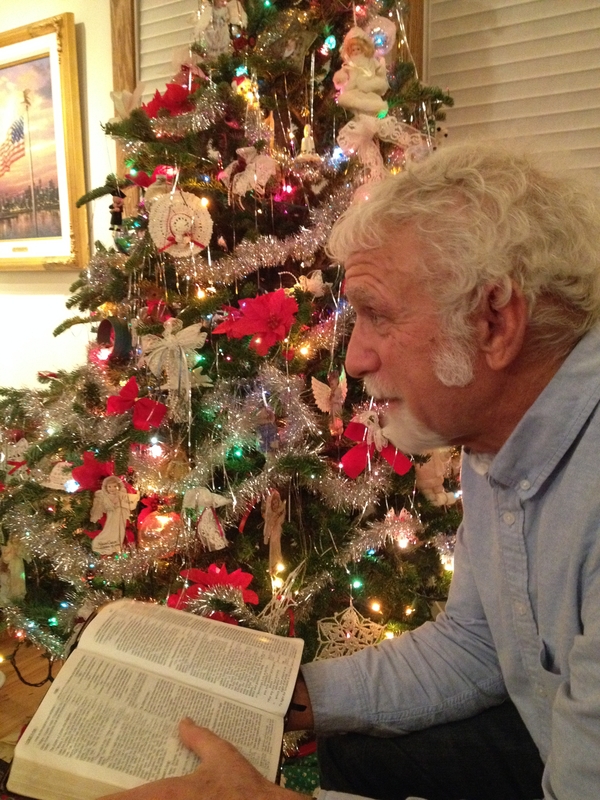 Then the children listen to Grandpa “read” the Luke 2 Christmas story. I say read in quotes because no one can paraphrase a story quite like grandpa, complete with mis-information to make sure the little ones are listening and they always are, happily correcting him! 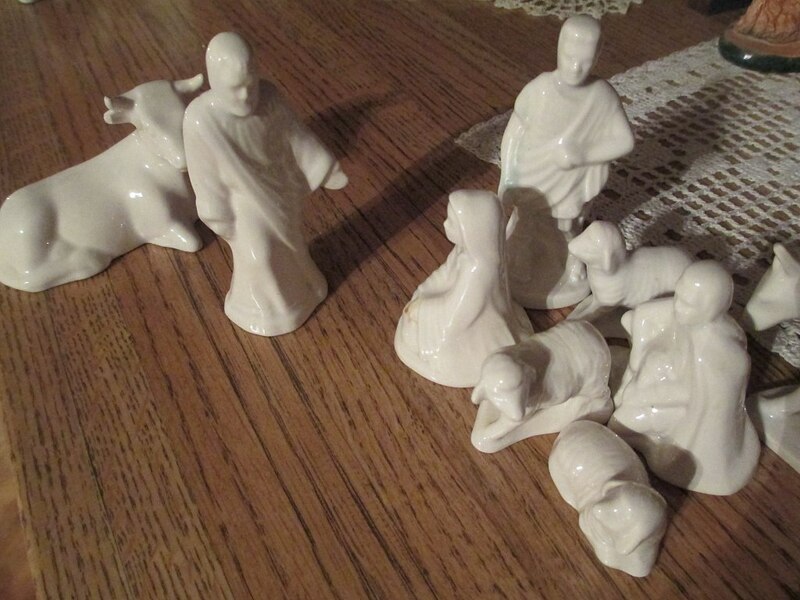 This year Grandpa was helping set up the nativity sets and didn’t realize this one didn’t have a baby at all. Having a Nativity set without a Baby Jesus would be a good reminder for us, we thought, of what the world might be like if Jesus had never come. We left it up. 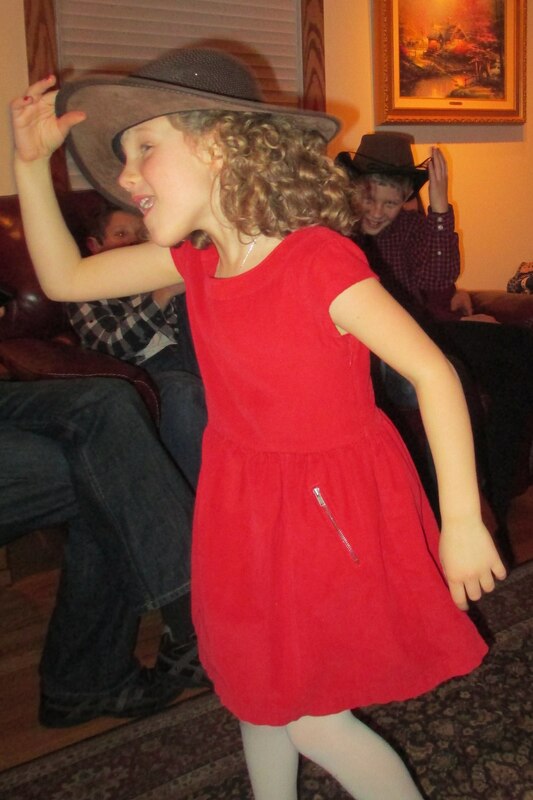 That evening as we celebrated an early Christmas, we challenged the grandchildren think about it. And soon everyone had joined in the fun. And I prayed they would always believe the importance of HisStory and why He came. P.S. 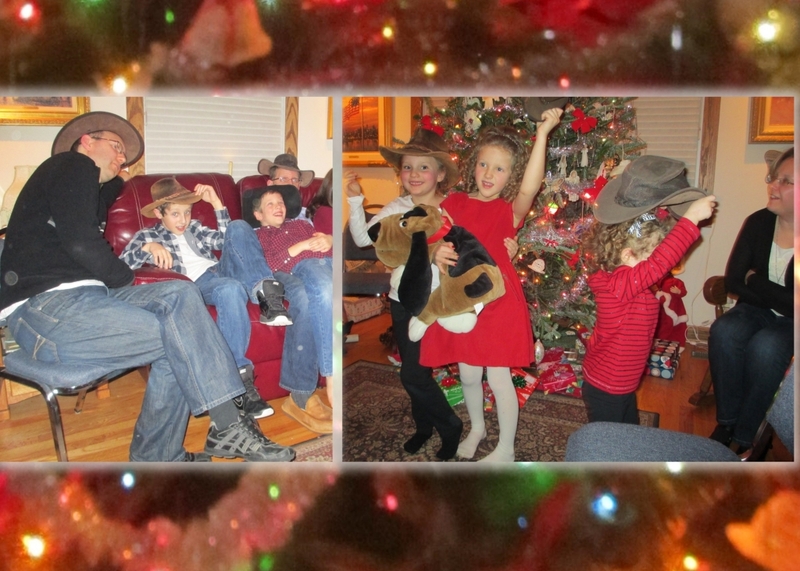 When Grandpa read the story, he “read” there were Cowboys watching their cattle by night. . . . . Busted! PreviousPrevious post: The most wasted of days is the one without laughter! I was think of this this morning. How hard it will be when the kids are on their own and may not come home. Thank you for the hope. Thank you so much for introducing yourself over at my blog. 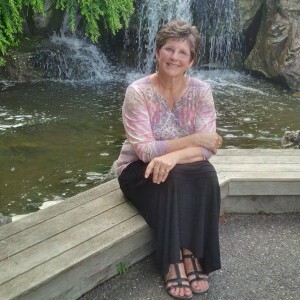 I read your about story and I was touched, challenged and encouraged by your testimony of working through much grief and loss and your conclusion about how God delights in you. Thank you for Visiting here Dolly. The journey to Knowing God’s love and delight has been a long one – and sometimes I forget still. I think it is a winding road much of the time, but so worth the trip. Oooh, Carol, I love this glimpse into your living room and family traditions. I smiled a wry little smile at the thought of your husband inserting misinformation into the story reading, of your granddaughter in her cowgirl hat, of the simple visual of a nativity without a baby Jesus. It must be refreshing to see faith sometimes through your grandchildrens’ eyes. Hi Amber. It always makes me smile to have you visit here. And yes, seeing faith through and in my grandchildren, makes me more determined than ever to forge my relationships with them, sharing my faith in my writing that someday I trust they will read and understand. there’s a lot unknown about what is in my future, but this one thing I know – I will remember and tell the stories of what God has done as long as God gives me life. We just got word that our son and daughter have “moved up” on the waiting list again for one last grandchild from Ethiopia. So very GOOD to see you again, dear friend. And to see your very animated tribe in action! May your advent season sparkle with His love and favor.